At Megu, as we tuck into a scrumptious Unagi (Sushi roll with freshwater eel), the rasping sound of Wasabi being grated accompanies us near the table. Clearly, authenticity is the name of the game at this fine-diner serving modern Japanese cuisine. It also helps in leaving an indelible impression on the discerning gastronome. 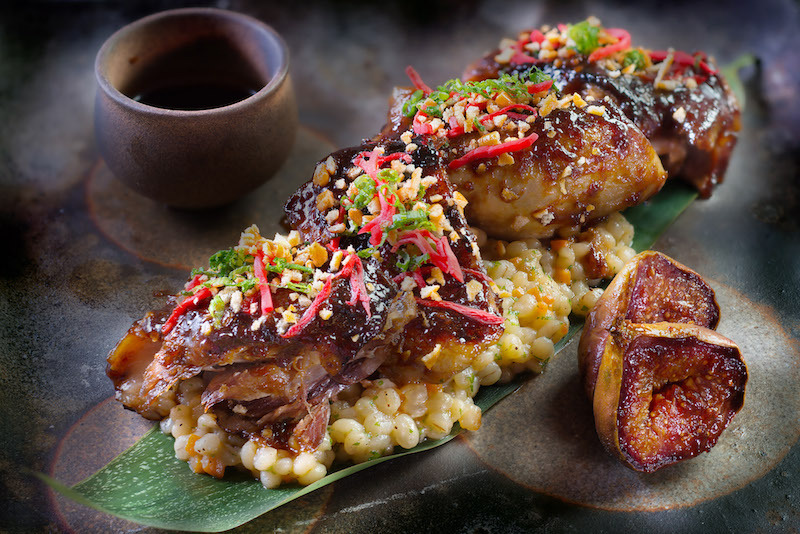 This practice of grating Wasabi at the table was first introduced at Megu in New York. It’s only fair that the experience is replicated for foodies in Delhi. 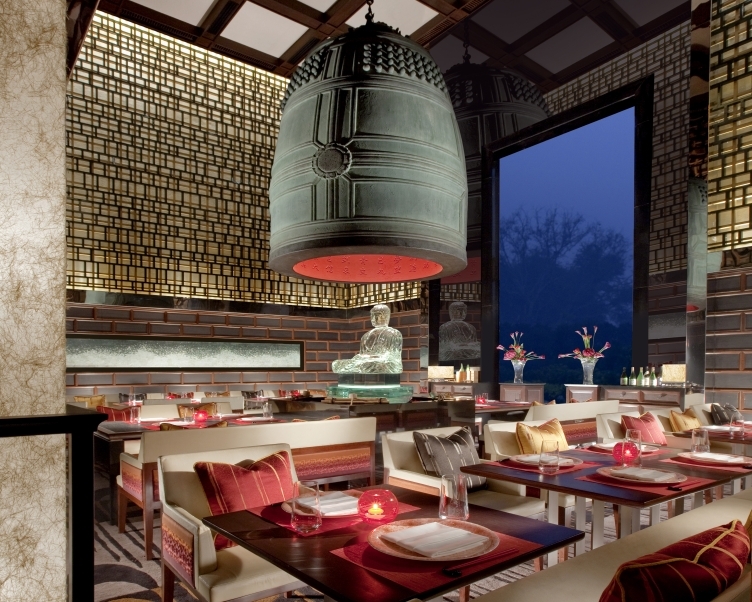 Located in The Leela Palace in Delhi, the new menu at Megu is the handiwork of Chef Takanori Fukuda, whose expertise in Japanese cuisine spans more than three decades. Born in Oita, Japan, he was introduced to traditional Japanese fare by his father who loved cooking. However, Fukuda never really thought of taking it up as a profession till his friend introduced him to a local restaurateur. An accidental chef, he acquired extensive experience in top restaurant kitchens of Korea, China and Philippines, constantly innovating new recipes and techniques. We start with the Nori crisps, a seaweed tempura appetiser, served with a Japanese tomato salsa that has sake as its core ingredient. Coupled with this fun munch is the hijiki salad, plated to perfection. 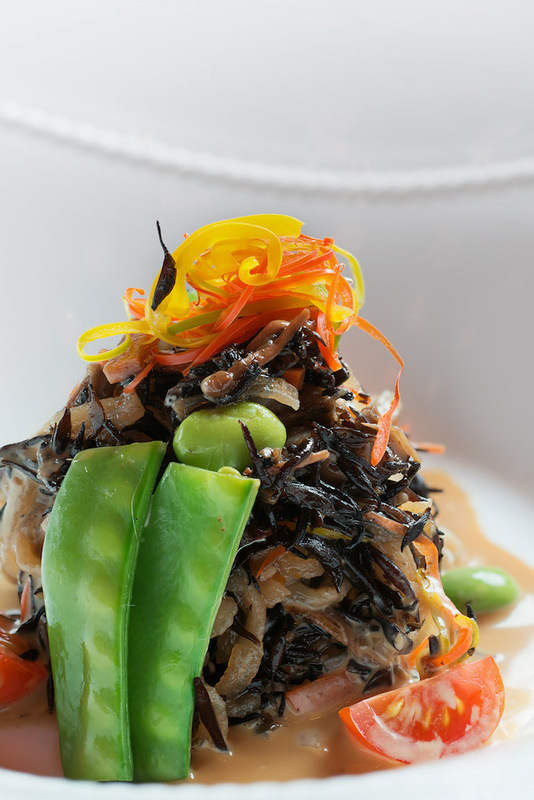 Juliennes of seared mushroom and seaweed are placed on a bed of sesame sauce and garnished with edamame beans and cherry tomatoes. The characteristic sweetness of the sauce is just enough to balance the salty softness at the centre. 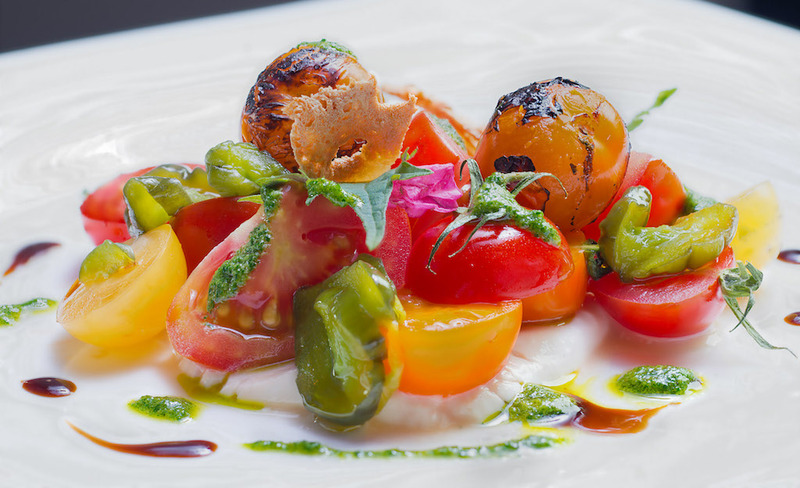 Next up is the Italian inspired Tofu Caprese, an innovative dish showcasing the versatility of bean curd. A host of colours come together on a plate of tofu chunks, puree, chips and tomatoes drizzled with teriyaki-balsamic vinaigrette and shiso pesto. The chef also sends out two refreshing ginger-ale based mocktails called Déjà vu (with juices of peach and orange) and Frost Bite (with juices of green apple and pear). While the former is a tad too sweet, the latter is perfect. We taste the Avocado Tartare that marries avocado and tomatoes with ponzu, truffle dressing and myoga. It’s a delicate appetiser that hits the nail on the head. The sushi and sashimi platter looks delectable and tastes great too. While the salmon, Akami (lean tuna), yellow tail and Unagi variations are subtle, we lap up the spicy tuna rolls with its varied textures and interesting flavours. The crunchy tuna counters the softness of the rice and the sweetness of the sesame sauce immaculately. The Miso soup on the side takes care of the sharpness of the wasabi. With delicate chunks of tofu and wakame seaweed thrown in, it’s quite a flavourful entity. 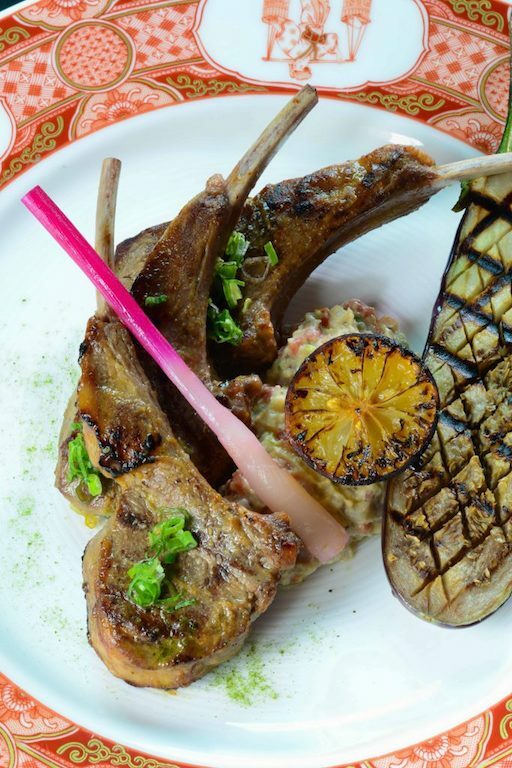 For the main course, there’s a combination of barbequed lamp chops (finished on the Binchotan grill with Yakiniku sauce) with smoked aubergine puree and Charred duck confit on a bed of barley risotto. My friend opts for a Chilean sea bass. While the chops are succulent and delicious, I’ve never tasted duck this light yet tasty. All winners. I look up to find my friend immersed in her fish, resuming conversation only after polishing off the last morsel! 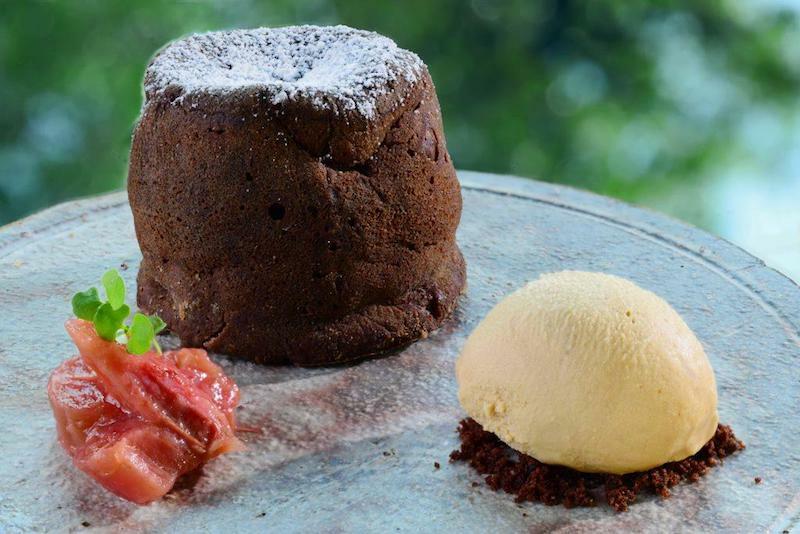 It’s time for dessert and the chocolate fondant served with maple miso ice-cream and rhubarb jelly is a sinful delight. 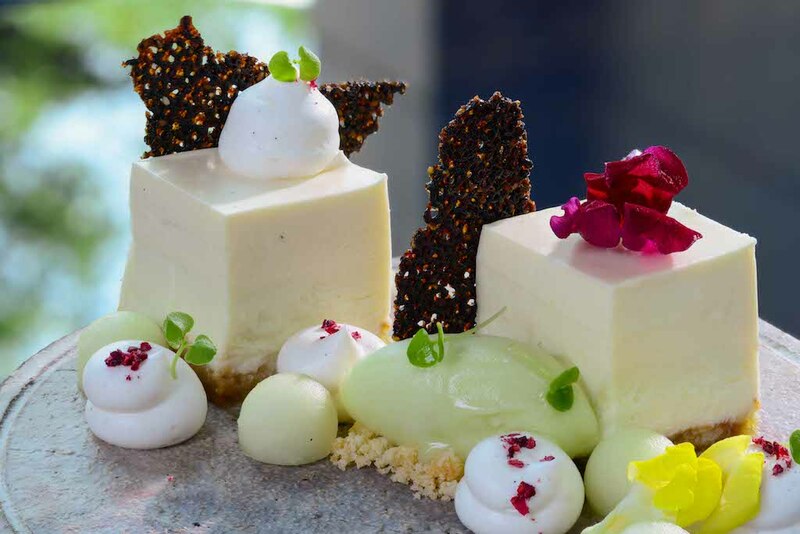 Shortly after, a pleasant surprise is presented to us in the form of the wasabi cheesecake served with a melon sorbet and wasabi cream. The cakes are buttery in texture without being saccharine sweet. The melon chunks and the sorbet act like palate cleansers and the wasabi cream is aromatic and fluffy enough to do complete justice to my sweet tooth. 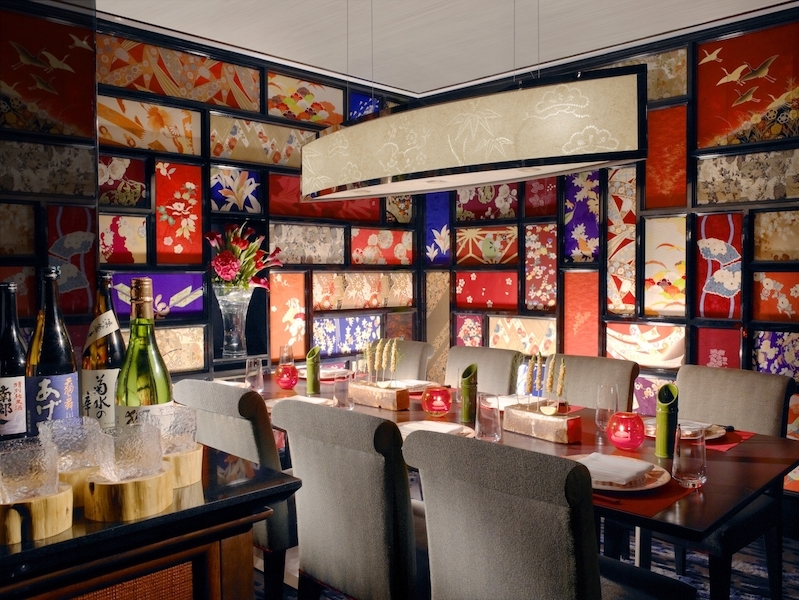 The Dim Sums At Bandra’s Newly-Opened House Of Mandarin Are Truly Unmissable!